‘Young Leaders have grown in confidence’ says school’s head of P.E. 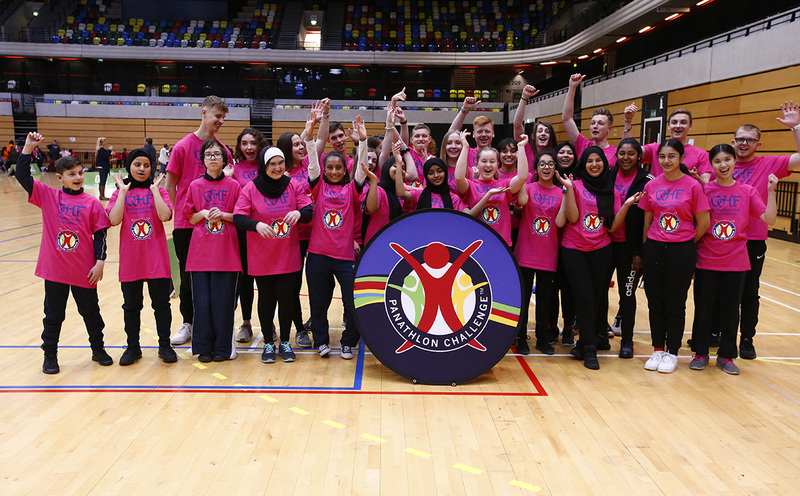 From developing vital skillsets to adapting to unique situations on their feet, Young Leaders up and down the country are experiencing the benefits of working alongside young disabled people thanks to Panathlon. Barking Abbey School has been associated with the Young Leader programme for a number of years, coinciding with the school’s own leadership pathway which began in 2001. 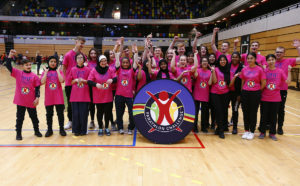 Caroline Constable, the school’s head of P.E, has seen multiple year groups take part in Panathlon events in and around London, and has observed the benefits it has had on her students first hand. Constable, who is in her 18th year at the school, says she is determined for pupils to continue embracing the opportunities Panathlon provide. “It’s great for me to see how they have developed as young people,” Constable continued. “I remember when I started with this particular group, how unconfident they were in front of a group of people, to see just how much they have grown in confidence. “They basically direct the whole entire event, it’s amazing. I stand back and watch them get on with it and that is one of the great pleasures of it, to see them take on the role of the teacher or coach and they’re fully in control. Constable is no stranger to volunteering herself, having been a Games Maker at London 2012’s opening and closing ceremonies. Speaking whilst at Panathlon’s Southern England Deaf Boccia Championship at the Copper Box Arena at the Olympic Park, she revealed that it was her pupils’ first time working with deaf and hearing-impaired children. “I think it is a good skill base for them because they are having to completely adapt from what they have done elsewhere previously. It’s a good experience for them to work with a specific disability group. One of Barking Abbey’s biggest Young Leader success stories is Sean Nealon-Lino. With Panathlon’s support, he won a place at the prestigious Michael Johnson Young Leaders Programme in the United States. He also competed for Scotland’s basketball team at last year’s Commonwealth Games. Sean (pictured middle) was awarded Panathlon’s Jack Petchey Foundation “Excellence in Sport and Leadership” award in 2017 for his work as a Young Leader. Speaking in more detail about the impact of the Young Leaders programme at Barking Abbey, Mrs Constable highlights a current student considering her future options, with her Panathlon experience playing a part. “I’ve got one student whose parents really want her to take an academic pathway, but she’s adamant she wants to become a P.E. teacher and work with young children. She has chosen her options at Sixth Form to pursue it in the future.